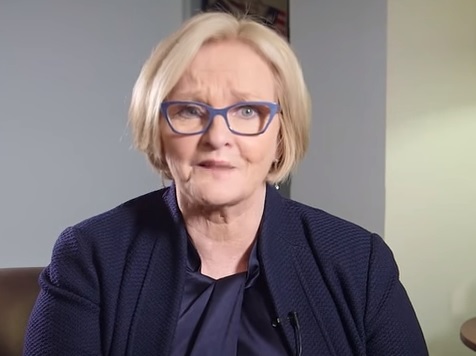 VIDEO=> Far Left MO Senator McCaskill Tells ALL MEN to "Just Shut the Hell Up!" How about YOU shut the hell up? Missouri Senator Claire McCaskill released a message on Monday to men. The video ran on leftist Stephen Colbert’s show.